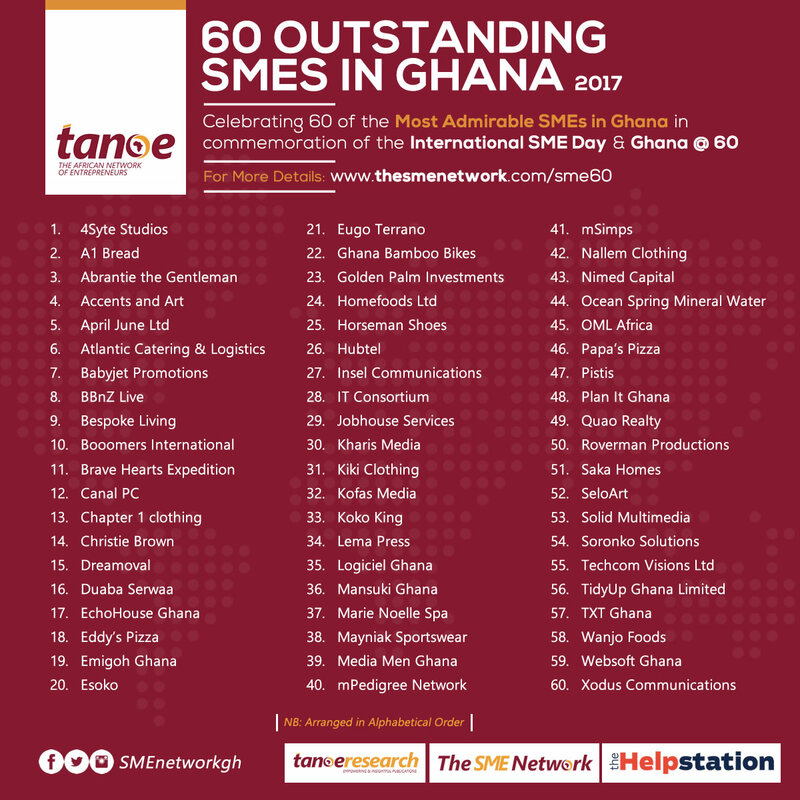 To commemorate the UN International SME Day and the 60th anniversary of Ghana's independence, The African Network of Entrepreneurs (TANOE) through its SME Network has released a list of 60 Most Outstanding SMEs in Ghana. The list, screened from hundreds of SMEs across the country identifies 60 of the most admirable Small & Medium Scale Businesses in Ghana spanning across various sectors including but not limited to Media, Fashion, IT, Manufacturing, Construction, Finance, Services, Tourism, Sports and many more. Sharing his thoughts on the list, Ekow Mensah, CEO of TANOE and Manager of the Premium Bank HelpStation, mentioned that the contributions and significance of SMEs in any economy cannot be overemphasized, especially in a developing economy like Ghana. SMEs contribute largely to the reduction of unemployment, introduction of innovation, enhancement of market competitiveness and driving economic growth. As such SMEs need all the exposure and support necessary to promote the rapid growth of their businesses hence the list. Find below the list of The SME Network 60 Outstanding SMES in Ghana arranged in alphabetical order.